Have you read How the Grinch Stole Christmas by Dr. Seuss? The story of a Grinch learning to love and care about others and make up for past mistakes is a great message for Christmastime. 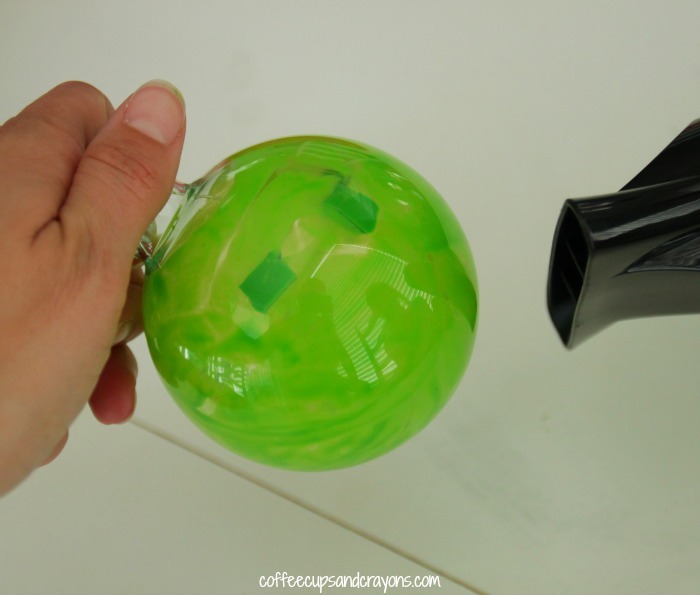 After talking about the lessons in the book you can make a Grinch Christmas ornament. 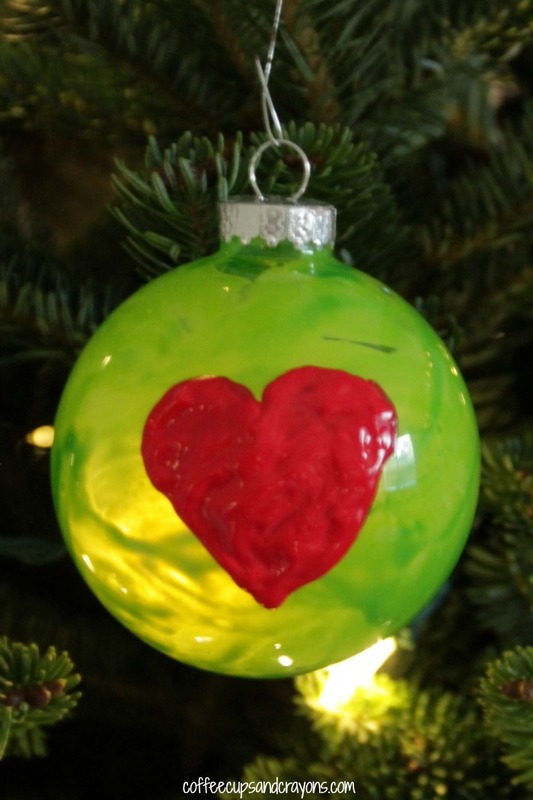 We decided the best part of the story was when the Grinch’s heart grew so decided to make a Grinch’s heart ornament! 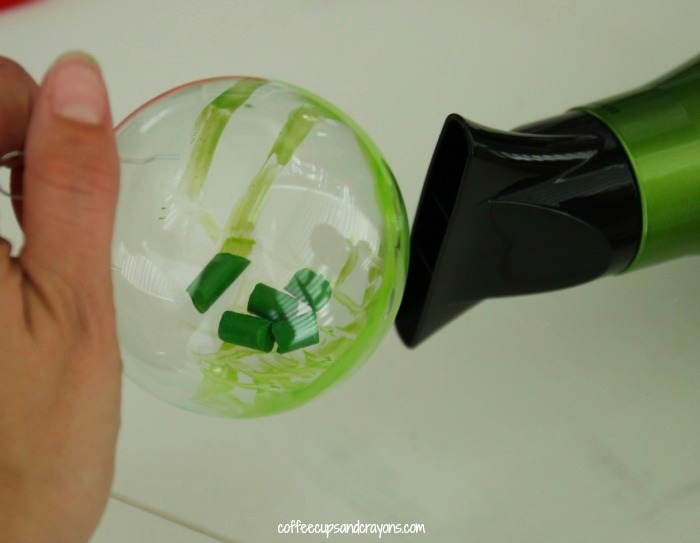 To color the glass ball ornaments green we placed a couple pieces of broken green crayon inside and heated them with a hair dryer. 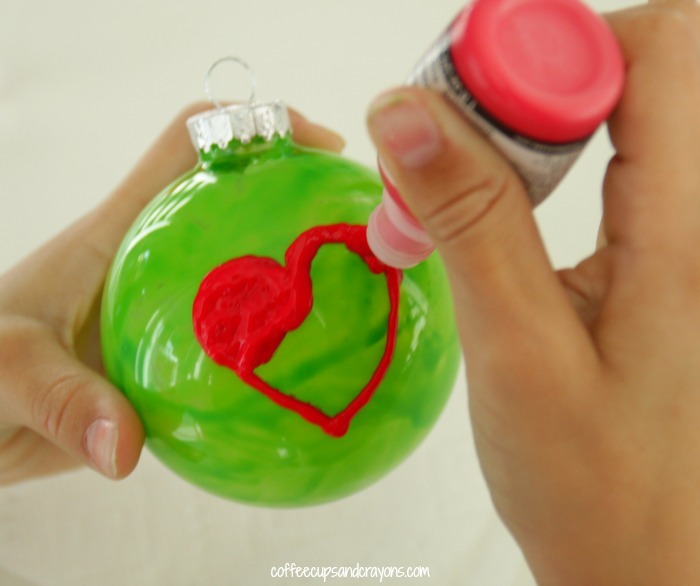 As the crayons began to melt they moved all around the ornament coloring it a beautiful bright green. 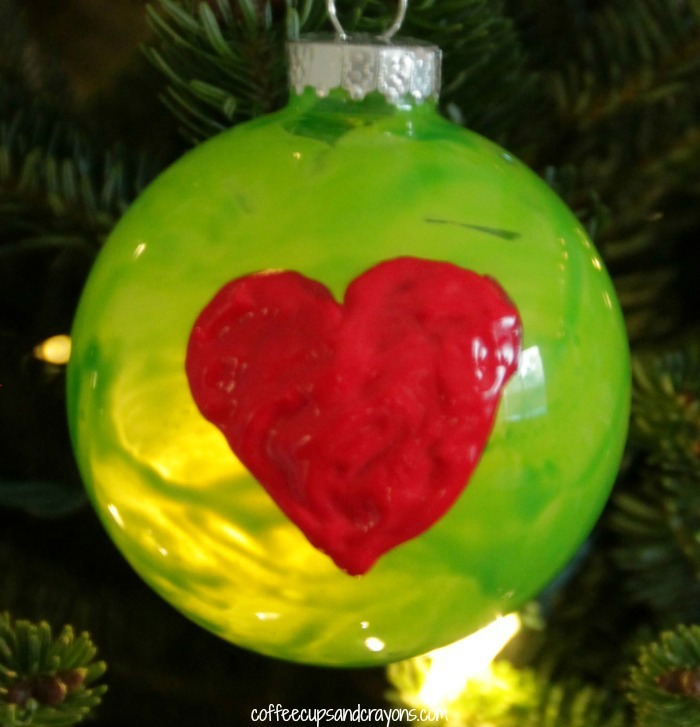 Once the inside of the ornament was covered we shook the remaining crayon pieces out and used the 3D fabric paint to draw a heart on the front. 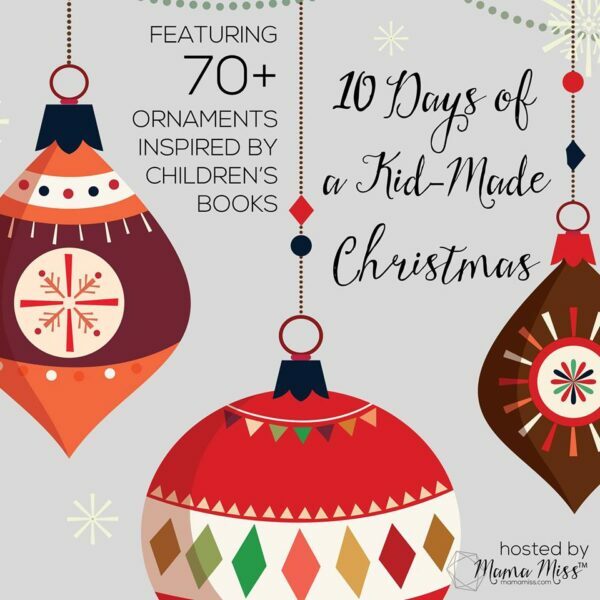 Homemade ornaments that go along with Christmas books are so much fun to make and get kids excited about reading! I think the Grinch himself would approve! Soooo fun! What a brilliant idea to melt the wax inside! Love them Megan! About how long did it take to melt the crayons? Once it was warm not very long at all.